LEGO can make anything better. Case in point, The Lord of the Rings is (in my meaningless opinion) a drudge of a story that I have failed to enjoy on every encounter. I fully appreciate its place at the core of all fantasy fiction which came to follow it, but I'm just not into the genre at all and it being the gold standard of that pretty much insured it wasn't going to be for me. 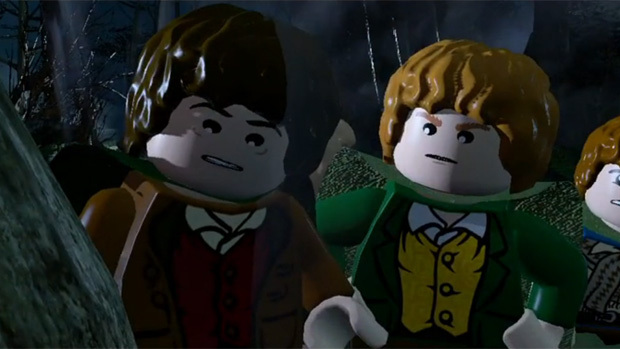 But LEGO Lord of the Rings, for reasons I can only attribute to the presence of LEGO, I'm kind of getting behind. This developer diary helps, as the team at Traveler's Tales discuss working with such a dark story, trying to keep true to the drama while adding that LEGO charm. The scale as they describe it boggles my mind. Having forty facial animations for each character sounds like an absurd amount of effort.